This topic contains 108 replies, has 3 voices, and was last updated by yobo 5d. Please modify the content that ID is 24, it seems you upload two images on the Advanced custom content module. 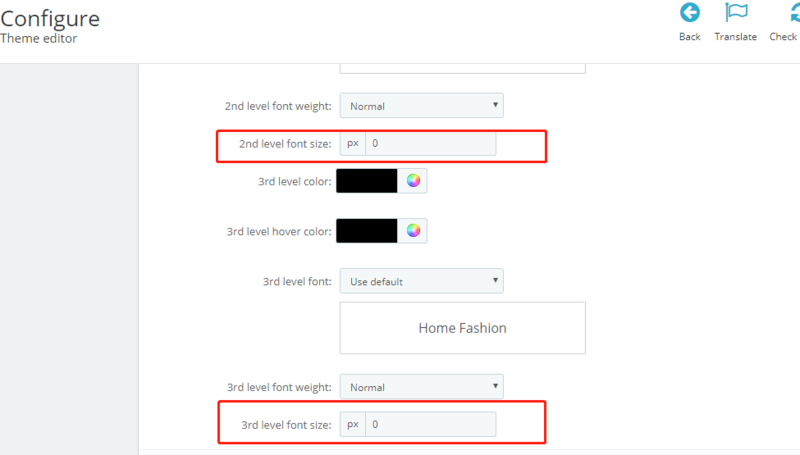 Go to BO > Modules > Theme editor > Menu tab, you can change the font size for the second level menu and the third level menu, see attached screenshot. Under Theme editor > Menu, there is a bottom border size, please change it to 0. 1. You can translate the “New” and “Sale” on the “Stickers block” module. 2. 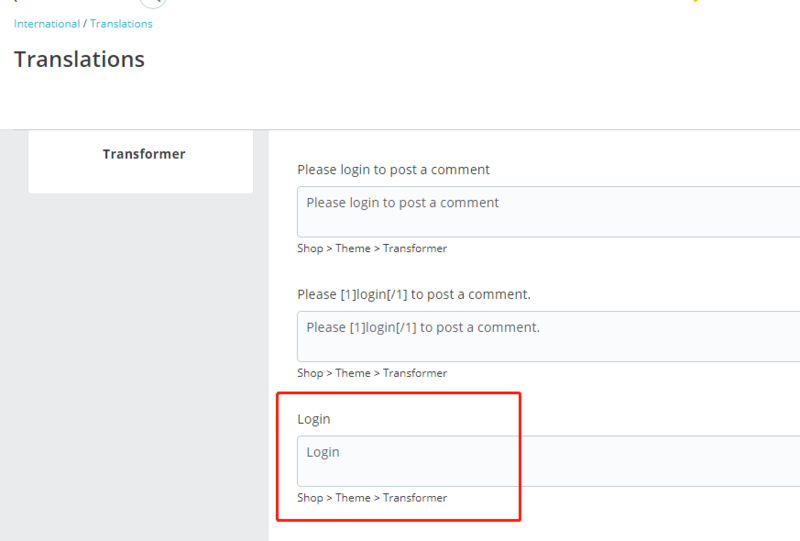 Go to BO > Translations, select “Theme translations” + “transformer” + language, then you can search “login” to translate it. 1. 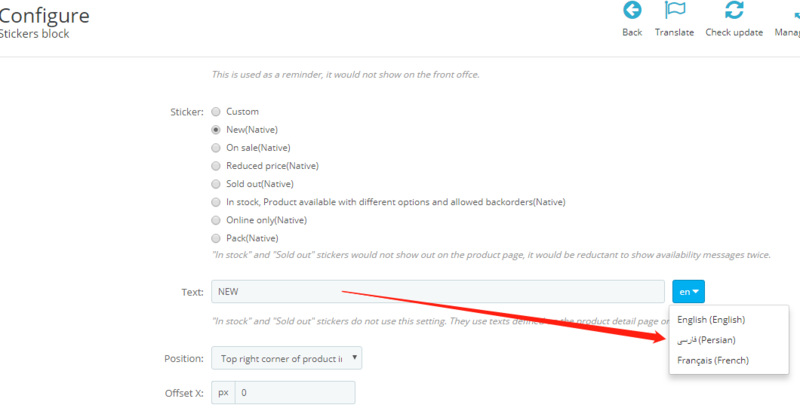 You can find it under Shop > Theme > Transformer section, see attached screenshot. 2. Please change the column wide to 3/12 instead of 12/12 for columns, as I can’t access to your backoffice anymore, so I can’t give you any screenshots. Sorry, maybe I didn’t explain it clearly, you need to go to the Sticker block module settings page instead of the module translation page, see attached screenshot. 1. Please copy the \modules\ps_wirepayment\views\templates\hook\payment_return.tpl file to \themes\transformer\modules\ps_wirepayment\views\templates\hook\payment_return.tpl, then you can translate “Your order will be sent as soon as we receive payment” under BO > Translations > “Theme translation” + “transformer”. 2. You can translate the “Unsubscribe” information on the “Newsletter popup” module setting page. 3. I checked on your site, it seems you solved the menu issue already.